These days, a lot of fields are changing. Competition for jobs is higher than it’s ever been, and from employers’ point of view, it means having their pick of applicants. From the job seeker’s perspective, it means needing to distinguish yourself. Many people are choosing to do that by earning a master’s degree in their field, a move that can help them advance, make more money, and look stronger on their resume. By the time you get your master’s, you usually already know what profession you want, why you want it, and what you need to do to get there. If you’re already working and need to keep your job, an online master degree is convenient and lets you work around your schedule. But convenience isn’t usually cheap. These online graduate degrees are both convenient and cheap. In some cases, really cheap. Keep in mind, these are the lowest possible rates; some programs charge more for out-of-state residents, and some specific degree programs are higher than others within the same school (the MBA may cost more than the MSN, for instance). All of the schools on this list are accredited, and many have been ranked by U.S. News & World Report, so they are guaranteed to be reputable, well-designed, and worth your money. Western New Mexico University’s online programs are a source of pride. Not only are they affordable – only $201 per credit hour at the lowest, in-state resident rate – but they are designed for excellence. Even out-of-staters don’t pay much more, and some states even receive a discount (check to see if you’re in one of them). With small class sizes (an average of 15 students to each professor), you get the same kind of attention you would get in a small college, but with the infrastructure a large state university can provide, such as any-time tech support. Graduate degrees include the MBA, Occupational Therapy, Educational Leadership, and even customizable options. For such a low price, don’t be afraid to follow your dream. From their home in Beaumont, TX, Lamar University offers a ridiculously affordable set of online graduate degrees. Lamar’s online program is designed for convenience, so that working adults can complete their education with minimal headache. Degree programs include a number of MBA concentrations, many specialized Master of Education degrees, the MS in Nursing, and others. Known as a military-friendly school by G.I. Jobs magazine, Lamar includes the Center for Military Services, a division dedicated to helping servicemen and women make the most of their GI Bill education funds and complete their education. With the lowest prices beginning at $235, it’s a steal for a graduate degree. 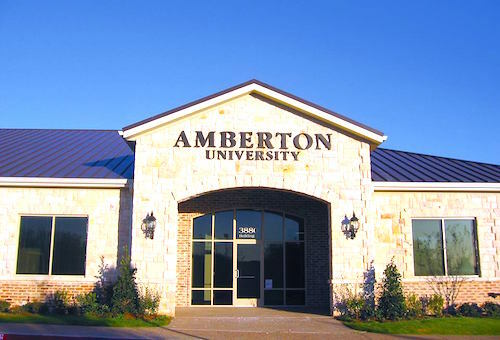 Amberton University, in Garland, TX, is an institution specifically designed for non-traditional students. All of their programs, on-campus and online, are built for working adults, to be flexible, convenient, and supportive, but their online degree programs are especially so. With the same professors teaching on-campus and online, both have the same quality of instruction, and they want to see you succeed. Master’s degrees include several specialized counseling programs (including school counseling and Christian counseling), as well as a number of MBAs and other Master of Science degrees. Best of all, tuition is a cool $250 per credit hour. Why not get two degrees? Count on Fort Hays State University to bring the value; they have one of the cheapest online bachelor programs out there, and their graduate degrees are just as affordable. 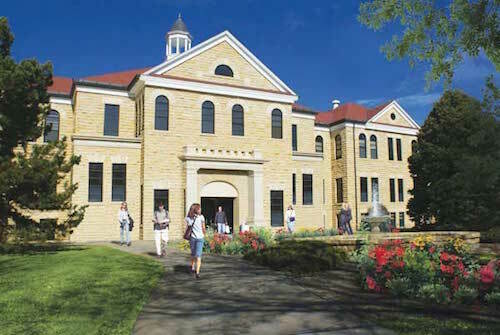 The Virtual College has been its own entity since 1999 (headquarters is in Fort Hays, KS), and that Virtual College has really come into its own with a major selection of low-priced graduate programs. MBA, Counseling, Education, Nursing – Fort Hays offers many of the degrees that working adults are looking for, with strong job market value and good prospects. At just over $251 per credit hour at the lowest, it’s hard to beat. 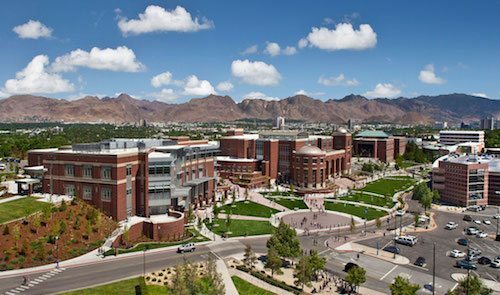 The University of Nevada, Reno, is steadily building their online education programs into national-level recognition, working out authorities with other states and widening their online degree offerings. That might make it a good time to jump in, since you may soon see UNR explode. Right now, UNR offers online Executive MBA, education master’s, and a Doctorate of Nursing Practice, but more are on the way. At $264 per credit hour for graduate degrees, you won’t be the only one looking into the University of Nevada, Reno. Located in Huntington, WV, on the banks of the Ohio River, Marshall University is most famous for the film I Am Marshall. 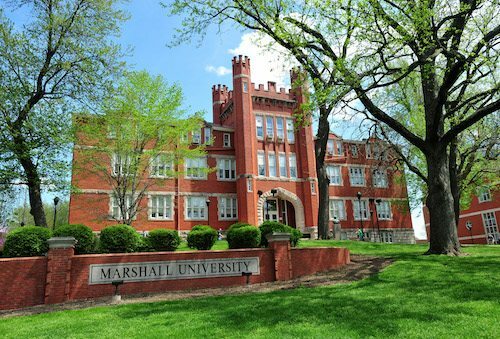 But Marshall University may very soon be famous for something else – their incredibly affordable online graduate degrees. Right now, the choices are relatively restricted; the only fully online degrees are in Education: Early Childhood, Elementary, and Secondary. But that will change as Marshall expands their online offerings and works their way into the big time. At a price of only $297 – a flat rate for students regardless of residency – they’ll have to turn away students. 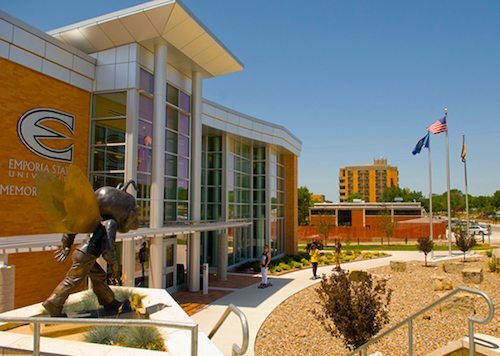 Emporia State, in Emporia, KS, has long been known for the excellence of their teacher education, and today their online graduate programs in education have been named as the best in the nation by U.S. News & World Report. Incredible, then, that such high-quality programs would be so cheap – only $308 per credit hour. But Emporia State offers a lot more online graduate degrees, including the MBA, Nursing Informatics, Earth Sciences, Mathematics, and more. For an education degree or any other, Emporia State’s online programs are both affordable and reputable, a smart combination. Saint Joseph’s College is a small, private Catholic liberal arts college in Standish, the kind of quaint seaside town that most people automatically picture when they imagine Maine. That’s probably some people’s idea of heaven, but you can get an affordable graduate degree online from Saint Joseph’s even if you never set foot in Standish. Prices are different for different programs, but the cheapest, $335 per credit hour for an MA in Theology, is frankly incredible for a private college. Other programs are similarly affordable; a master in education is only $360 per credit. The Dakota’s, like many of the other big, spread-out western states, know the value of distance education, and at Valley City State University (in Valley City, ND), it’s not just a value for them – it’s a value for students as well. 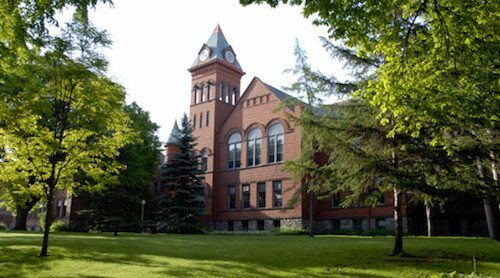 At $347 per credit hour, VCSU’s online master degrees are quite reasonable. Currently, VCSU only offers Master of Education fully online, with concentrations in Teaching and Technology, Technology Education, Library and Information Technologies, Elementary, and English Education. But if you’re interested in the M.Ed., you’re not going to find a much better price. 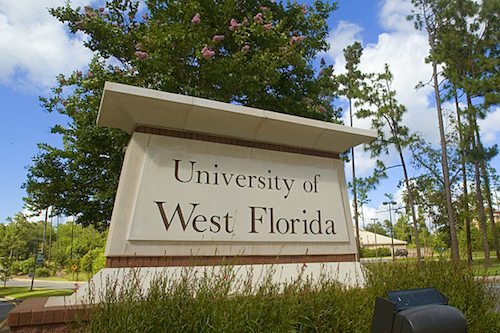 The University of West Florida is located in beautiful Pensacola, FL, where its campus has been built in concert with the waters of the Escambia River and forest. But, if you want an online degree, the UWF Online Campus is much more within reach. UWF Online offers many all-online graduate degrees, including the MSN, Computer Science, Mathematics, and M.Ed. degrees in several concentrations. With an out-of-state tuition waiver, even non-residents can get an affordable rate, equal to or almost as low as the $384 per credit paid by Florida residents. Nice of them, right?